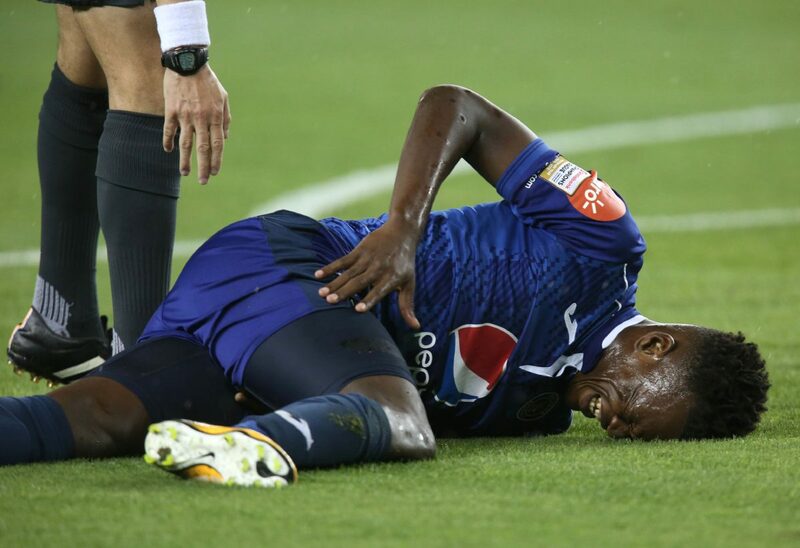 FC Motagua's Reinieri Mayorquin reacts after colliding with Club Tijuana's Rubio Rubin during the second half of their CONCACAF Scotiabank Champions League round of 16 match Wednesday, February 21, 2018 at H-E-B Park in Edinburg. 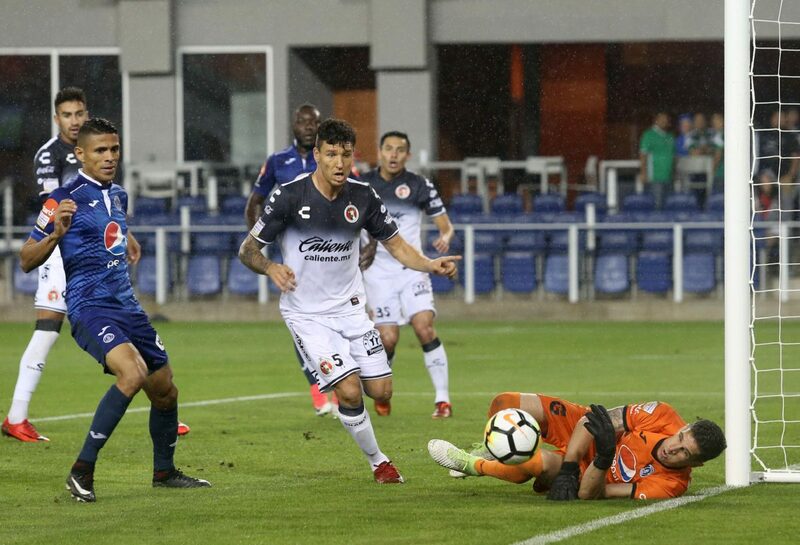 FC Motagua's Walter Martinez tries to chip the ball over the Club Tijuana goaltender, but misses, during the first half of their CONCACAF Scotiabank Champions League round of 16 match Wednesday, February 21, 2018 at H-E-B Park in Edinburg. 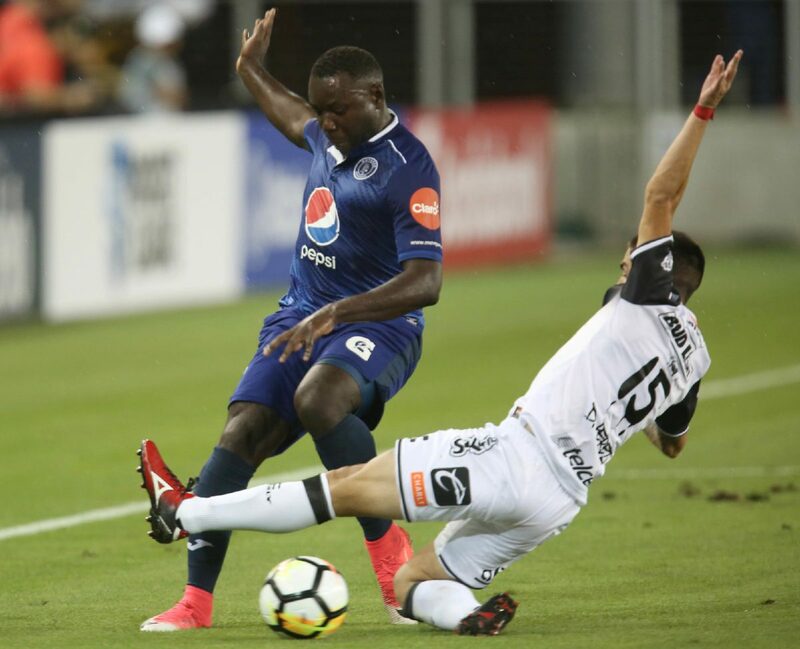 FC Motagua's Wilmer Crisanto tries to move the ball away from Club Tijuana's Damian Perez during the first half of their CONCACAF Scotiabank Champions League round of 16 match Wednesday, February 21, 2018 at H-E-B Park in Edinburg. 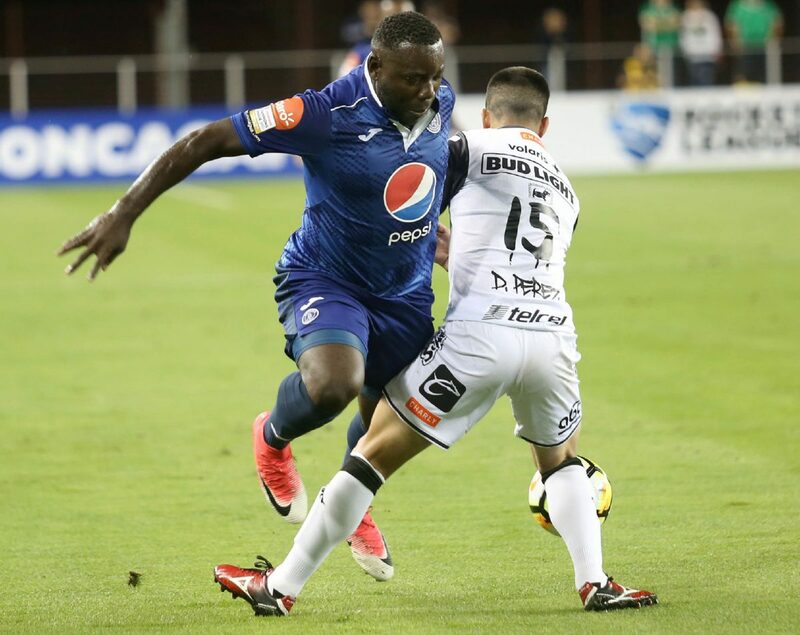 FC Motagua's Rubilio Castillo, right, looks back after being taken down by Club Tijuana's Jan Carlos Valenzuela during first half of their CONCACAF Scotiabank Champions League round of 16 match Wednesday, February 21, 2018 at H-E-B Park in Edinburg. 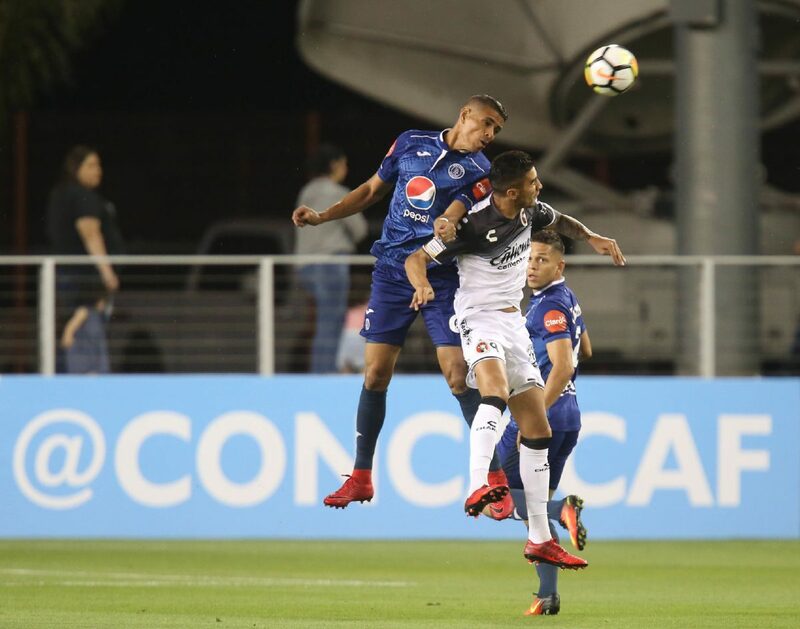 FC Motagua's Felix Cristano takes off on a run against Club Tijuana during the first half of their CONCACAF Scotiabank Champions League round of 16 match Wednesday, February 21, 2018 at H-E-B Park in Edinburg. 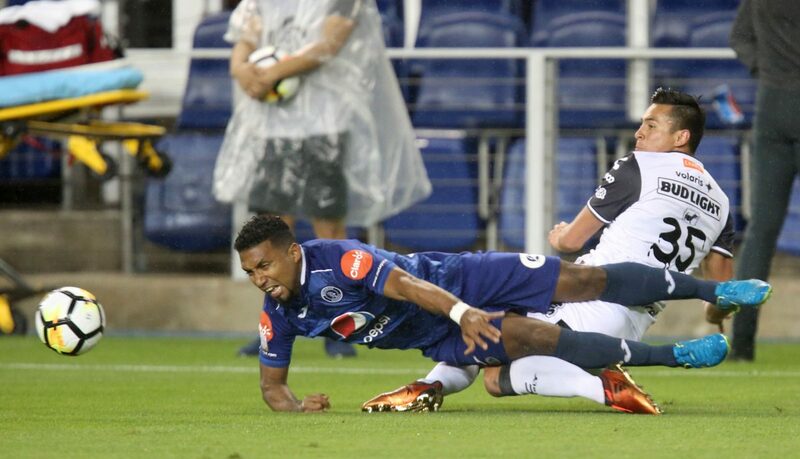 FC Motagua's Wilmer Crisanto is tripped up by Club Tijuana's Damian Perez during first half of their CONCACAF Scotiabank Champions League round of 16 match Wednesday, February 21, 2018 at H-E-B Park in Edinburg. 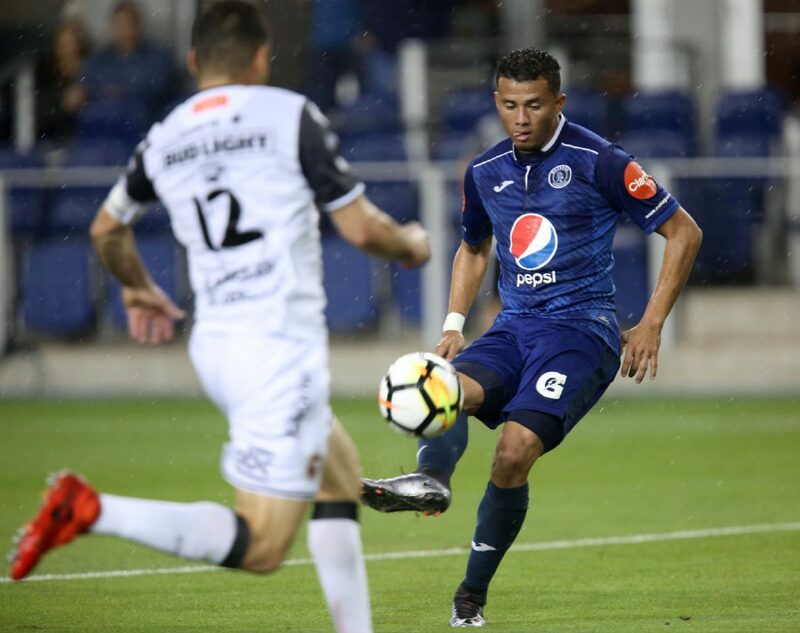 FC Motagua's Juan Pablo Montes heads the ball with Club Tijuana's Juan Martin Lucero during the first half of their CONCACAF Scotiabank Champions League round of 16 match Wednesday, February 21, 2018 at H-E-B Park in Edinburg. 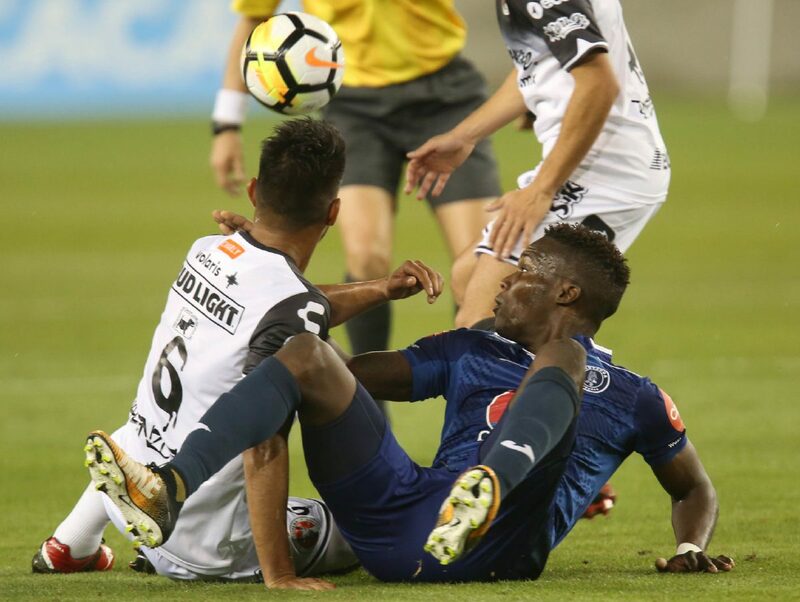 FC Motagua's Felix Cristano lies on the ground after colliding with Club Tijuana's goaltender during the first half of their CONCACAF Scotiabank Champions League round of 16 match Wednesday, February 21, 2018 at H-E-B Park in Edinburg. 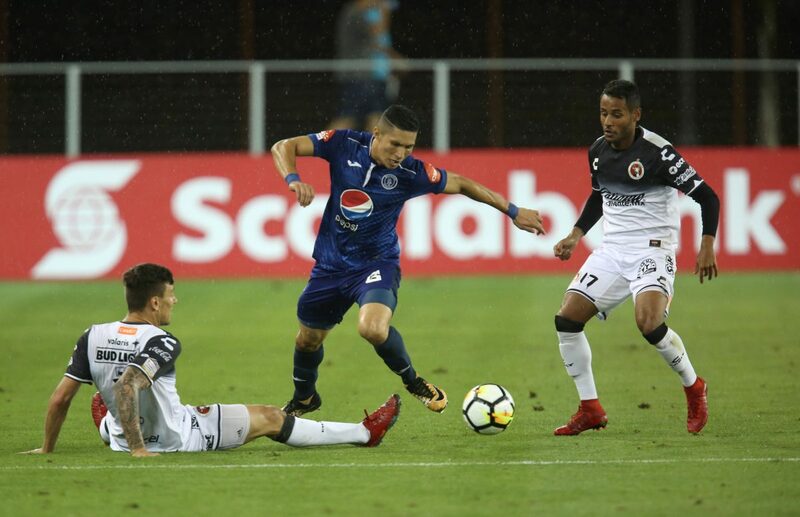 FC Motagua's Hector Castellanos, center, moves the ball from Club Tijuana's Damian Musto, left, and Mateus Goncalves during the first half of their CONCACAF Scotiabank Champions League round of 16 match Wednesday, February 21, 2018 at H-E-B Park in Edinburg. 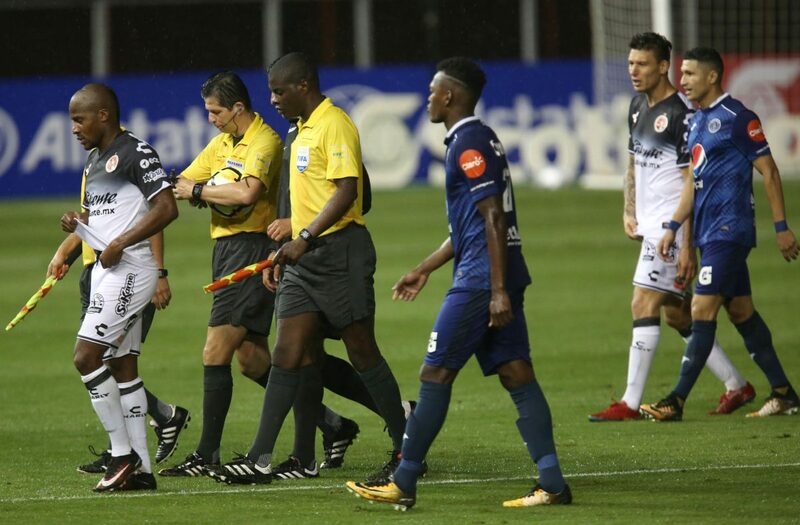 FC Motagua and Club Tijuana leave the field during a lightning delay during the second half of their CONCACAF Scotiabank Champions League round of 16 match Wednesday, February 21, 2018 at H-E-B Park in Edinburg. 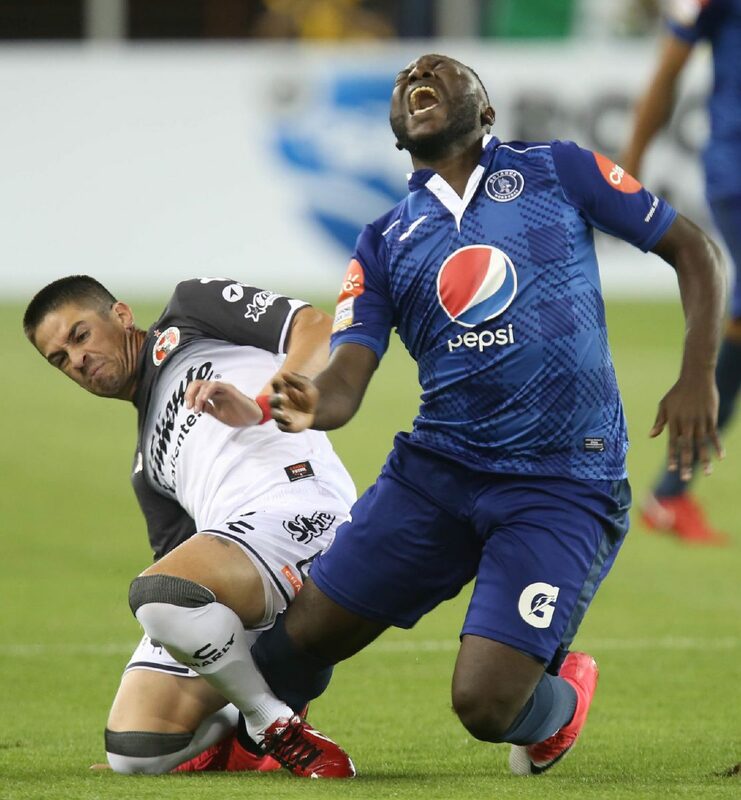 FC Motagua's Wilmer Crisanto reacts to colliding with Club Tijuana's Damian Perez during the first half of their CONCACAF Scotiabank Champions League round of 16 match Wednesday, February 21, 2018 at H-E-B Park in Edinburg. 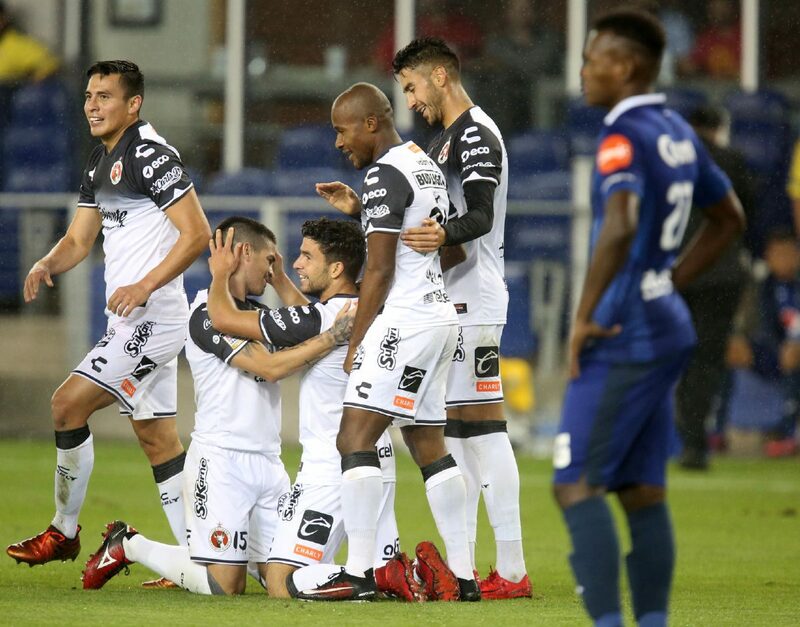 Club Tijuana's Ignacio Rivero, kneeling right, celebrates scoring a goal against FC Motagua during the second half of their CONCACAF Scotiabank Champions League round of 16 match Wednesday, February 21, 2018 at H-E-B Park in Edinburg. Club Tijuana won the match 1-0. 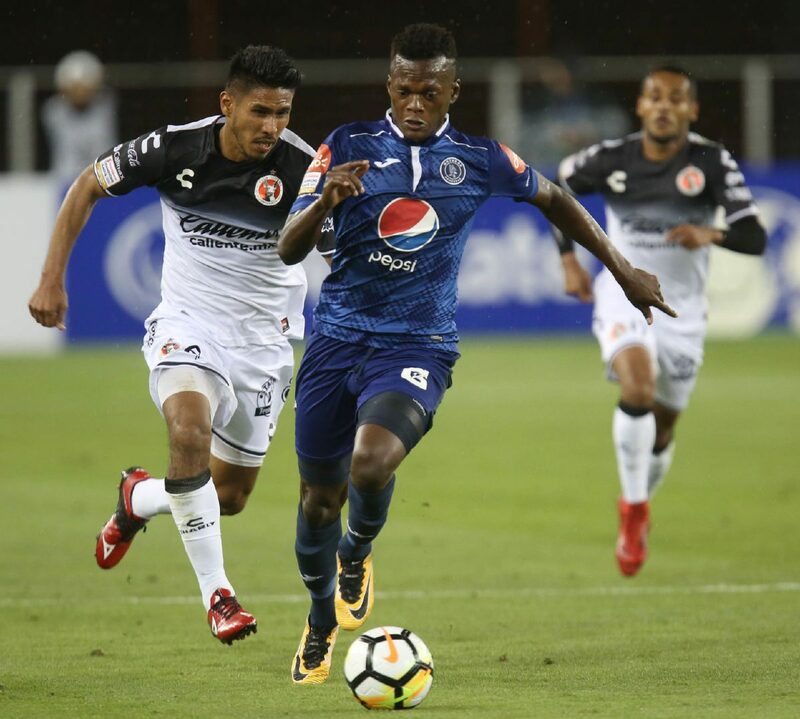 Club Tijuana's Pablo Aguilar head the ball on a corner kick as FC Motagua's Rubilio Castillo defends during the second half of their CONCACAF Scotiabank Champions League round of 16 match Wednesday, February 21, 2018 at H-E-B Park in Edinburg. 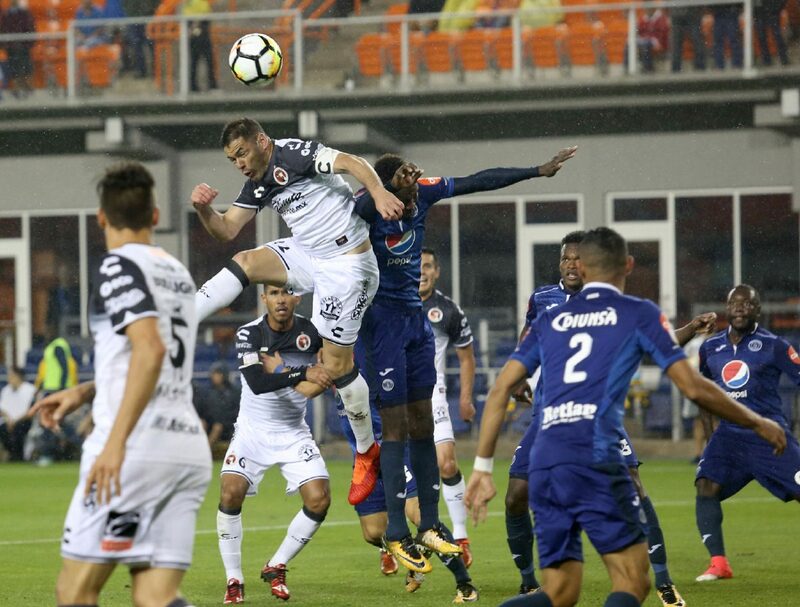 FC Motagua goaltender Jonathan Rougier blocks a shot as Club Tijuana's Damian Musto looks for a rebound during the second half of their CONCACAF Scotiabank Champions League round of 16 match Wednesday, February 21, 2018 at H-E-B Park in Edinburg. 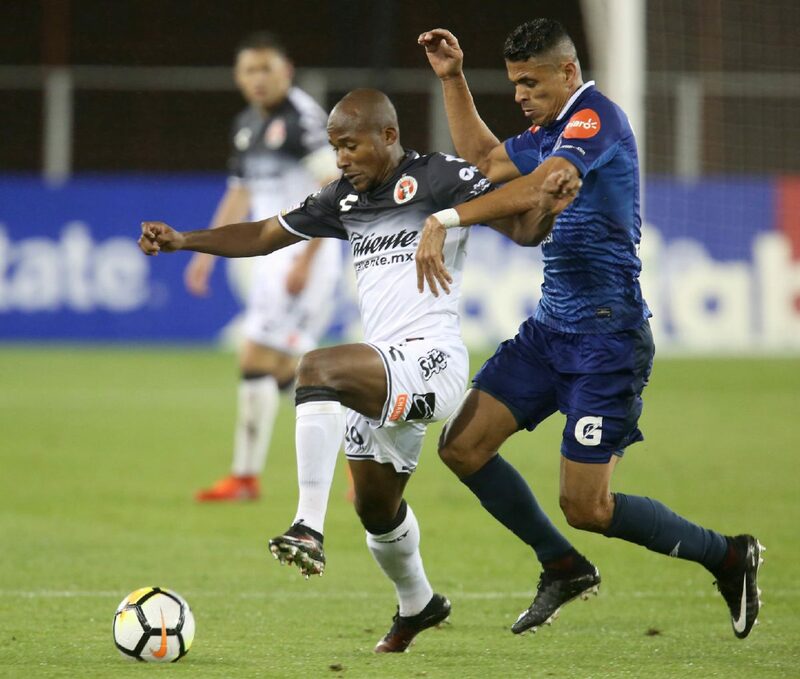 Club Tijuana's Julio Angulo keeps the ball from FC Motagua's Jua Pablo Montes during the second half of their CONCACAF Scotiabank Champions League round of 16 match Wednesday, February 21, 2018 at H-E-B Park in Edinburg.